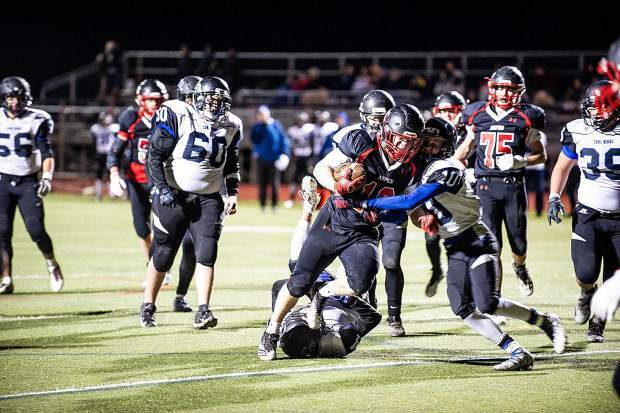 Noah Hollander makes a carry for the Aspen Skiers versus Coal Ridge Friday night for their homecoming football game. 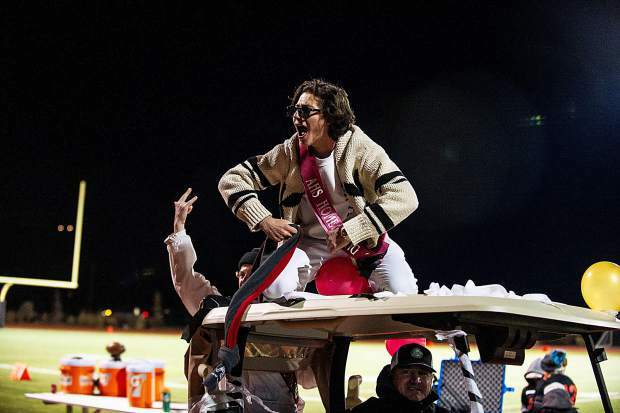 Homecoming court "class clowns" Joseph Lipsey , right, and Charlie Campisi ride the golf cart during half time Friday night. 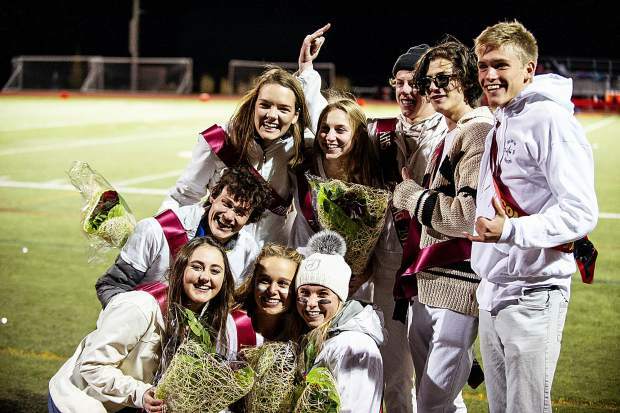 Homecoming court poses for a photo during half time Friday night. 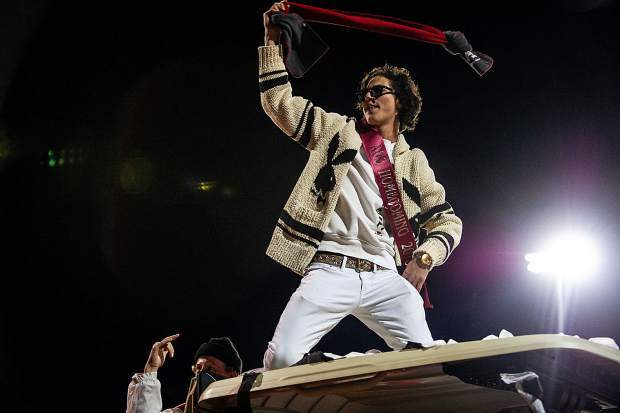 Trey Thorpe tries to amp up the crowd after half time of homecoming Friday night. 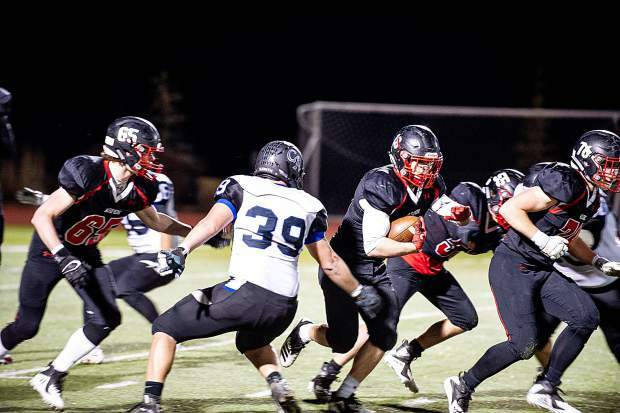 Trey Fabrocini makes a carry for the Aspen Skiers versus Coal Ridge Friday night for their homecoming football game. 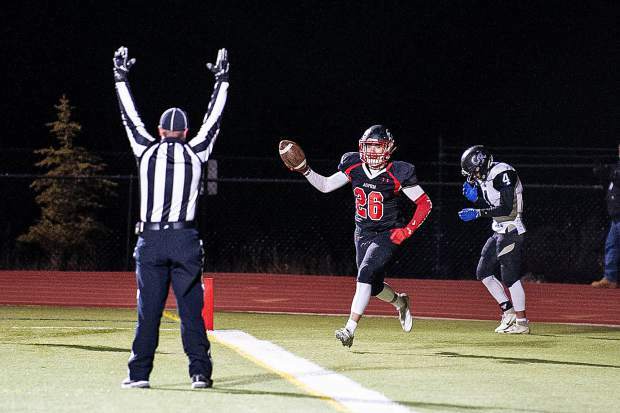 Max Ufkes after scoring a touchdown at the homecoming game versus Coal Ridge Friday night. 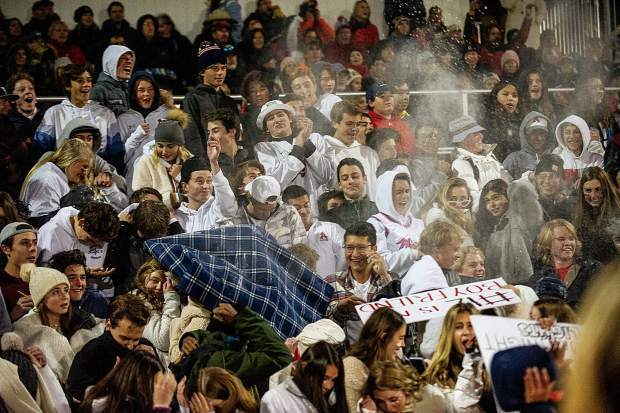 Fans in the crowd toss flour in the air for the homecoming tradition Friday night at the Aspen Skier stadium. 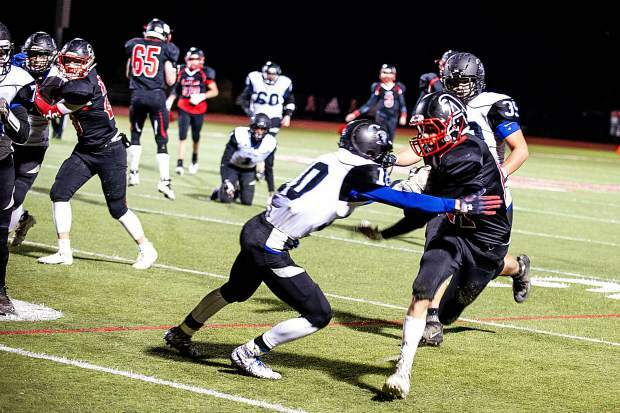 Trey Fabrocini makes a tackle for the Aspen Skiers versus Coal Ridge Friday night for their homecoming football game. 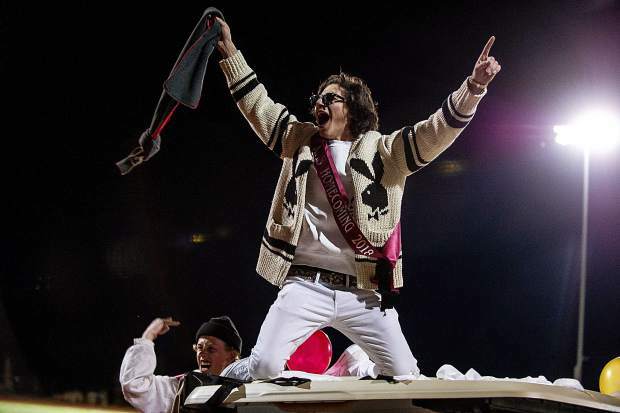 The crowd cheers in the bleachers at the homecoming football game of the Aspen Skiers versus Coal Ridge Friday night. It was homecoming. It was senior day. 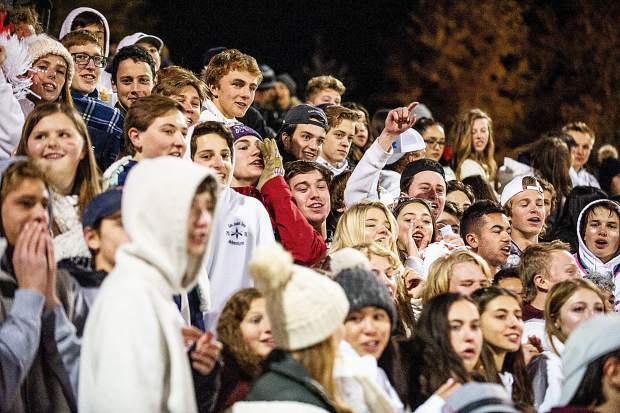 It was the Aspen High School football team’s playoff life on the line. It was a shot at the league title on the line. 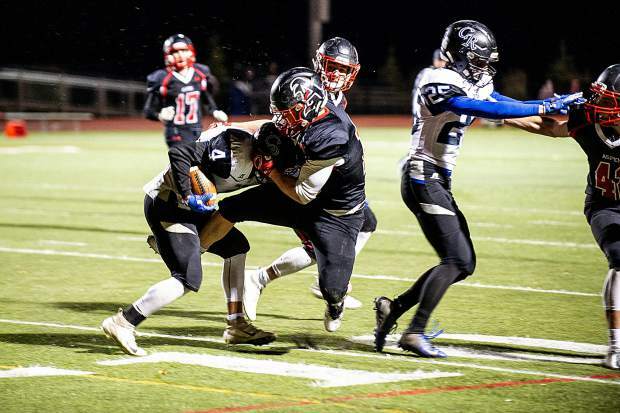 So, don’t hold it against AHS senior Noah Hollander if he may have shed a tear or two after Friday’s game, a 37-13 win over Coal Ridge on the AHS turf. Most importantly, the win gets the No. 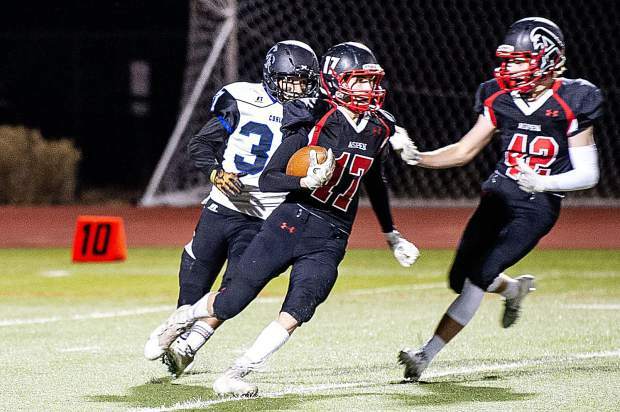 10-ranked Skiers to 6-2 overall and 3-1 in Class 2A Western Slope League play with one game remaining in the regular season. 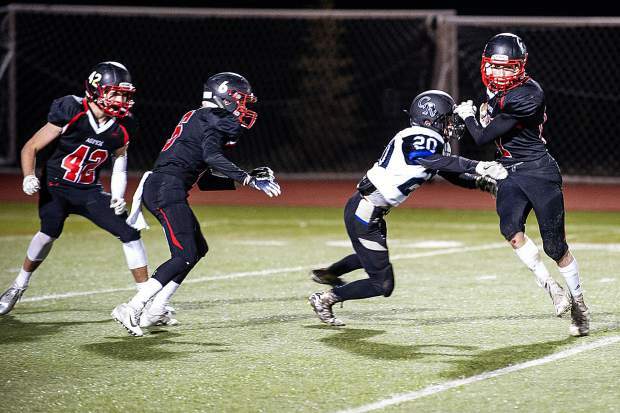 For Aspen, that game will be next week at Basalt, where a win would give AHS the outright league title. Basalt, which entered the week a perfect 7-0 and No. 4 in 2A, lost 35-14 at No. 7 Rifle on Friday. That is the same Rifle team that Aspen stunned a week ago when the Bears were undefeated and No. 3 in the state. This means next week’s game in Basalt will be plenty interesting. 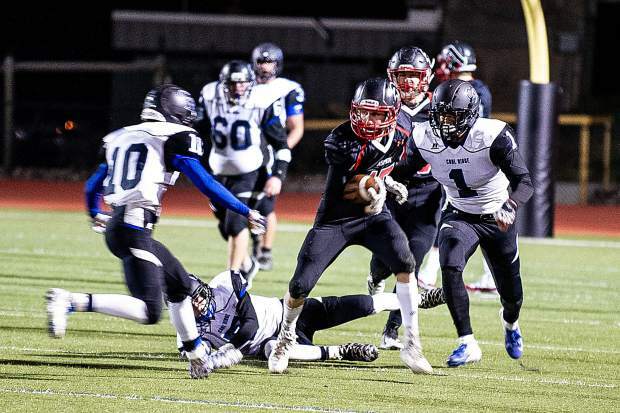 To get to this point, Aspen first had to get by Coal Ridge, which Benson called a “trap game” following last week’s big win at Rifle. It looked easy early, with sophomore quarterback Tyler Ward finding Hollander for a touchdown pass and catch from about 37 yards out for an 8-0 lead. However, Coal Ridge answered right back with a long drive that chewed up nearly eight minutes of clock, a short Adrian Garcia touchdown run making it 8-6 after a failed conversion. Aspen led 16-6 after a quarter when Ward found junior Max Ufkes from 26 yards. The teams went to halftime with that same score after both offenses struggled to find rhythm in the second quarter. Aspen got it moving again in the second half. The AHS lead grew to 24-6 after a 30-yard touchdown run by junior Jonathan Woodrow midway through the quarter. 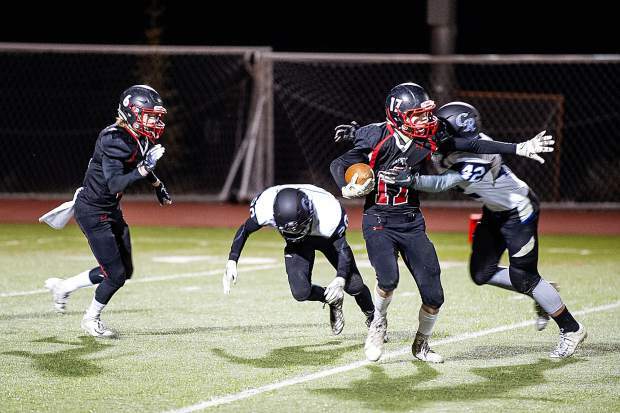 Early in the fourth quarter, Coal Ridge got it back with a short Oscar Salazar run, but Aspen quickly answered when Ward found Hollander for a second time, this one from 35 yards out. 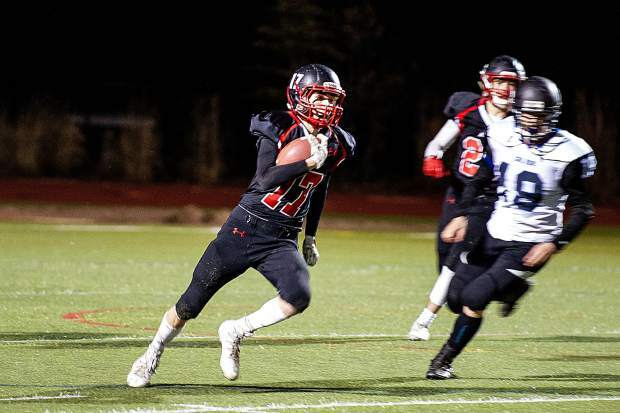 Junior Trey Fabrocini’s 11-yard touchdown run with 2:29 to play put the game to rest. After the game, the seniors got together at midfield for photos with the coaches. 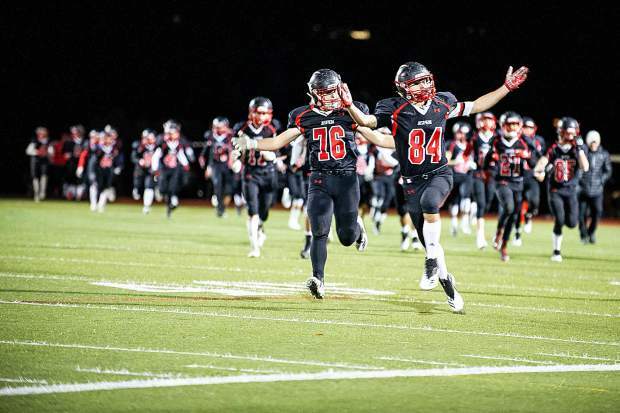 Much like the last win over Rifle, it was a reason to celebrate. But the team also is ready to move past both games with a big one looming this week at Basalt.